Hyperlapse still image, captured by Rufus Blackwell on the DJI Osmo. Rufus Blackwell is an adventure filmmaker, VFX artist and one of the best time-lapse photographers working today. Over the past 8 years, he's worked to integrate perspectives from these three disciplines to develop his own unique style of image-making. Living and working in Saigon, Rufus frequently travels on assignment to remote locations to capture spectacular images and rarely seen sights from around the world. He has worked for Getty Images and National Geographic, and has racked up shoots all over the world. In 2014, he won the Travel Photographer of the Year award for his video work, and constantly pushes the boundaries of what is possible with digital imagery. 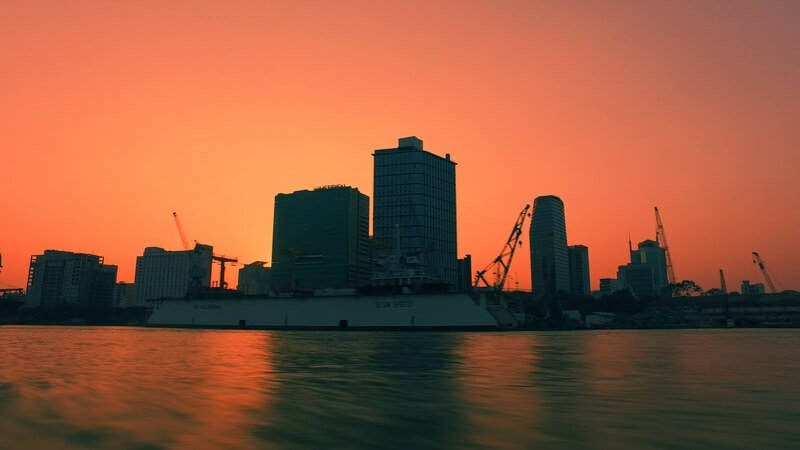 DJI asked Blackwell to capture his colorful new home, Saigon, in his signature style using the DJI Osmo, resulting in the DJI Story entitled Hyperlapse Saigon. Before you go ahead and watch the story, see what the artist has to say about working in Vietnam and with the Osmo. 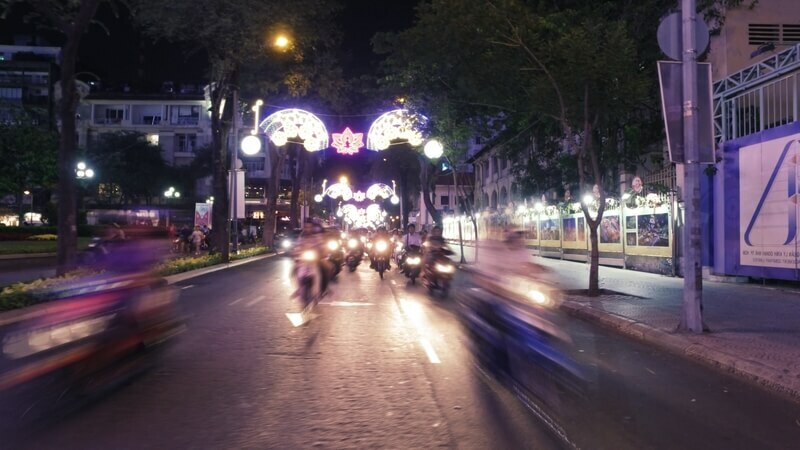 You live and work in Saigon — what's your impression of the city and its people? I am in love with the city. It is so fun, the people are amazing, the food is incredible and just up the road is one of the best kitesurfing spots in SE Asia. It is a beautiful place to film and the flow of the traffic is great for timelapse photography. Although in the 4 years I have been here the number of cars has increased massively. Cars don't timelapse as well as bikes unfortunately. You're one of the top time-lapse photographers working today. What got you into this specific medium? I work as a VFX artist, so I am very used to dealing with beautiful high quality images. I also love photography. When I went digital and bought my first DSLR I realised I could shoot extremely high quality timelapses. I started playing around with different techniques and very soon had a few really interesting shoots under my belt. It was a great way to combine my passion for photography with my professional VFX skills. The VFX side of my timeline work is not really about computer generated imagery or changing the images, it just allows me to get the absolute best out of what I have shot, I like to keep it natural. What special requirements does a timelapse photographer have on their gear? That's a really tough question to answer, because as a medium it is evolving so fast. For example, shooting this project with the Osmo has completely changed the way I will set up for shoots in the future. Traditionally I shot with a DSLR and a tripod, but now with the Osmo I have whole set of options for how I work. My kit for every shoot is different, but you need a good backup device and need to copy the images over to another hard drive. No point doing a great shoot if you loose the images to a broken hard drive. The actual kit bag that I shoot with is actually quite small, not a huge camera rucksack. The reason for that is that I value being able to get the most unusual images and that often requires getting as far away as possible for as long as possible, so keeping it light helps. One thing that has always been in my kit bag is a book. Timelapse involves a lot of sitting around waiting patiently so having a book to read is vital. How did the Osmo help you capture the city? It was amazing. It allowed me to explore new ways of capturing images that had never been possible before. You can capture, hand held, images that would have required a huge motion control rig previously. I think the first and last shots are a testament to how good the gimbal is. The camera was attached to a small boat with a lot of engine vibration, bobbing along the Saigon River. However the resulting shot was rock solid, I couldn't believe it when I saw it. 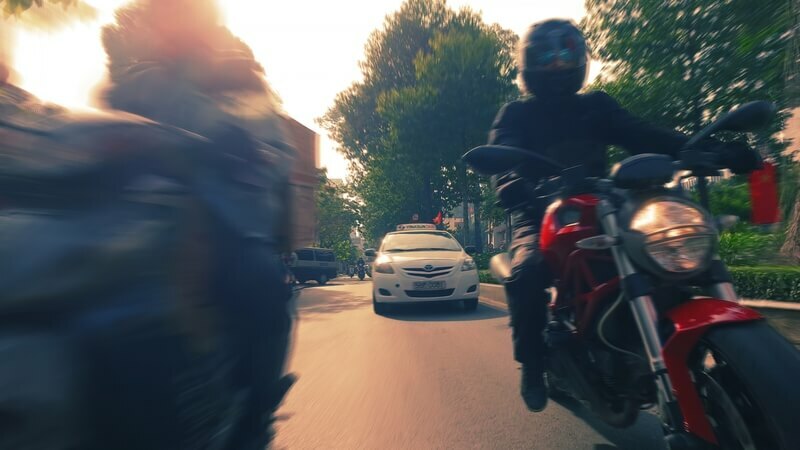 Shooting hand held from back of a motorbike was great fun, I feel those are some of the best shots in the movie. One other technique I found really useful was attaching the camera to a bicycle and pushing it along. Some of the shots took 20 minutes to capture, that is a long time to hold a camera steady. I found that by attaching it to a bike it gives you a natural support and helps keep the camera an equal distance from the ground resulting in a very smooth final sequence. The 4K image is beautiful, really crisp and clear and you can really get great colors out of it. I decided not to capture my hyperlapse images using the traditional technique of shooting a frame every few seconds. Instead I shot in video mode and by increasing the playback speed I was able to create much more interesting hyperlapse sequences. What's your process for working with the footage once captured? Most hyperlapse movies I have seen were shot in timelapse mode, as in shooting a still frame every second as you walk along. I am obsessed with getting the correct motion blur in my shots. Almost every image I shoot has what is called a 180 degree shutter. That is that the exposure time should be half the interval time. So if you are shooting an image every 4 seconds the exposure should be 2 seconds. So to get this effect I decided to shoot in video mode. I was shooting at 30fps at 4K. 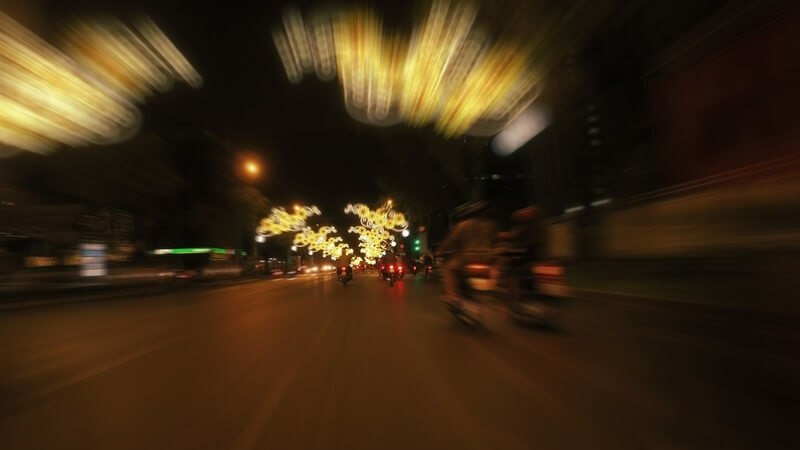 You need to use a frame blending mode in your editing software to create a nice motion blur effect from the video afterwards. I find it much more aesthetically appealing than still images. So that is the tech breakdown of how to process it, you need software that has extremely detailed control of timewarp techniques. This camera really is a game changer. My 5D MK3 will be gathering a lot more dust now. You can just capture such great images with this piece of kit. Thanks Rufus, we appreciate you giving us and our readers a look inside the process of a world-class image maker working with the Osmo!